Samkhya is one of the six systems of orthodox Vedic philosophies. It is one of the three nivrittie sastras, or philosophies of liberation—liberation from the repeated cycles of birth. The other two philosophies are Yoga and Vedanta. Smkhya Karika, written by Iswarakrishna, is perhaps the most authentic text on this subject. It is considered to be the theoretical basis for Yoga darsana, and hence, many yogis, including my Guru Krishnamacharya, would urge study of this text in addition to Patanjali's Yoga. It consists of 72 slokas, or verses, and is considered one of the great Sanskrit works. The author, some consider to be the avatara of the great Sanskrit poet and philosopher Kalidasa. All the slokas will be gone through verse by verse in this program. 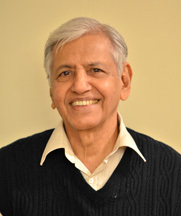 Srivatsa Ramaswami (78) was a student of the legendary yogi Sri T. Krishnamacharya for over 30 years. He studied Hatha Yoga, Vinyasa Krama, chanting of several chapters of the Yajur Veda, and Sanskrit philosophical texts like the Upanishad Vidyas from Taittiriya, Mandukya, Mundaka, Chandogya, Brihadaranyaka and others including Yoga Sutras and Samkhya Karika. In addition published more than 100 yoga related articles, released through "Sangeetha" about 30 CD's on Sanskrit chants including Yoga Sutras, Surya Namaskara. Has uploaded about 60 videos on chants, Vinyasa Krama talks on YouTube. 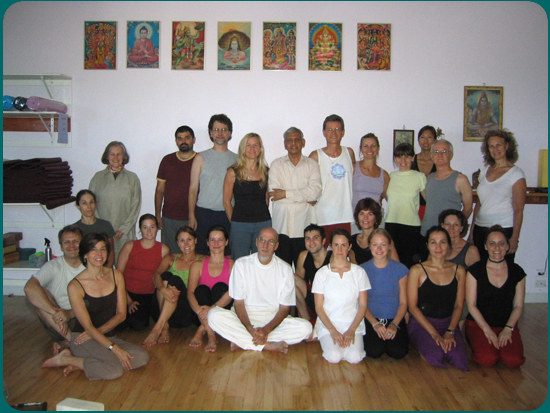 Has been teaching for the last 30 years—about 20 years at Kalakshetra in India and for about 10 years teaching a 200-hour Vinyasakrama Teacher Training Summer Program at Loyola Marymount University, Los Angeles, apart from several shorter programs in Chicago, UK, Canada, Mexico, India and other places.